JEE Main Seats Reservation 2019: The CBSE/JoSSA/CSAB follows the Indian Government’s policy on the reservation of seats, Which is based on factors like candidate’s caste, gender and quota. Students from the OBC – Other Backward class (Non-Creamy Layer), Scheduled Tribes (ST), Scheduled Castes (SC), Person with Disability (PwD) with 40% or more disability are counted under JEE Main reservation of seats 2019. The female candidates also fall under the reservation category. 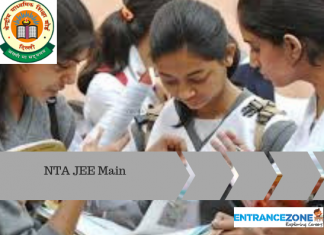 The JEE Main 2019 reservation criteria also include criteria based on home state quota and other state quotas in each participating institutes. And participating institutes follow these criteria while offering admission. Latest Update: JEE Main 2019 Application Form process for April session has been started from 08 February 2019. JEE Main January 2019 result declared. Check result now. Check your JEE Main Rank Here at JEE Main Rank Predictor. JEE Main 2019 Seats Reservation in different institutes. As per JEE Main Brochure, The JEE (Main) secretariat/CBSE is only an examination conducting body. The JEE (Main) secretariat does not collect the information regarding the total number of seats available in the institutions and reservation criteria followed by the institutions. For all admission related procedures/queries, the candidates are advised to refer the website of JoSAA, Central Seat Allocation Board (CSAB) or the concerned state government/institute after the declaration of ranks of JEE (Main)– 2017-18. The number of seats for female candidates is increased from 8% to 14% in 2019-19 by creating extra seats specifically for female candidates, without disturbing the number of seats available in the previous academic year (i.e. the academic year 2017-2019). After the declaration of result, JEE (Main) secretariat/CBSE hand over the data to SEAT ALLOCATION BOARD. And also submit to state government/institute for Seat Allocation Process and admission procedure. The institution level reservation criteria and information regarding the total number of seats are not collected by JEE (Main) Secretariat. The final list of participating institutes (total number of seats with reserved quota seats) in JEE (Main) 2019 Counselling shall be available on the SEAT ALLOCATION BOARD website in the month of May/June 2019. 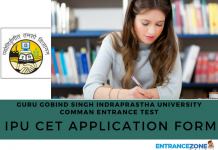 The process for seat allocation and admission is based on JEE Main All India Rank. The Category Wise JEE Main 2019 Reservation of seats is mention below. 1. 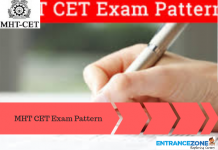 IITs, NITs, CFTIs JEE Main reservation of seats in the institutes like IITs, NITs and CFTIs will be given only to the classes/castes/tribes mentioned in the respective central list published by the Government of India. 2. State engineering colleges There are numerous state engineering colleges who fill their B.Tech/ B.E. 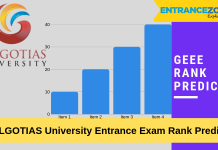 seats based on JEE Main 2019 score/rank. In this case, the reservation criteria of the respective state will be applied. As per AICTE, 5% seats are reserved for women in all the engineering colleges participating in JEE Main Counselling. 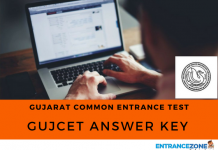 Home State quota (HS) – The candidates who have passed class 12 or equivalent examination from the state in which the institute situated is considered under HS (Home State quota). Other States quota (OS) – The other state quota is 15% every state considers the other state students for admission. It includes all the states and union territories except the home state/ home union territory. According to iit jee reservation seats, there is no defence quota in jee mains. whereas reserved seats are filled on the basis of caste quota i.e. ST/SC/OBC and PWD. Although Army engineering college Pune has a special preference for children belonging to defence backgrounds. The CBSE/JoSSA/CSAB follows the Indian Government’s policy on the JEE Main Seats Reservation 2019, based on factors like candidate’s caste, gender and quota.